I had this fun opportunity to work with Sierra Mist and share with you some great mocktails and cocktails. I was given the choice between a Frost Bite mocktail or a Meet Me at the Mist-letoe Mocktail and I chose the Frost Bite Mocktail! 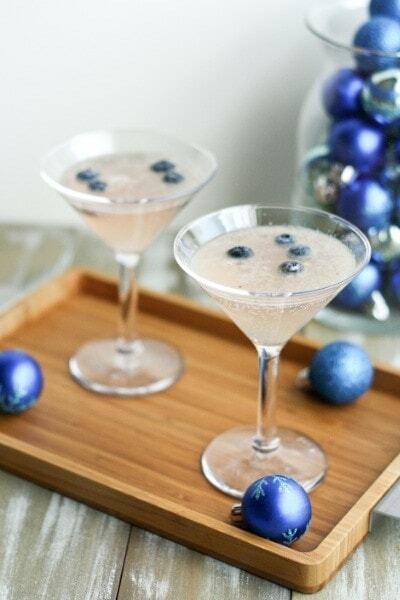 The Frost Bite Mocktail recipe is below. The Meet Me at the Mist-letoe Mocktail has Sierra Mist Natural, raspberry juice, fresh basil, fresh lime juice and blueberry juice. Both my husband and I agree that we love the Frost Bite Mocktail. It’s festive and smooth tasting. I like the convenience of making a mocktail or cocktail with Sierra Mist Natural. I love, love that it contains no artificial ingredients, they use real sugar and that any flavors are 100% natural. Be sure to like Sierra Mist Natural on facebook for some great recipe ideas for your holiday brunches and parties! So tell me after hearing about both mocktails, which one would you like to try? The Meet Me at the Mist-letoe or the Frost Bite? 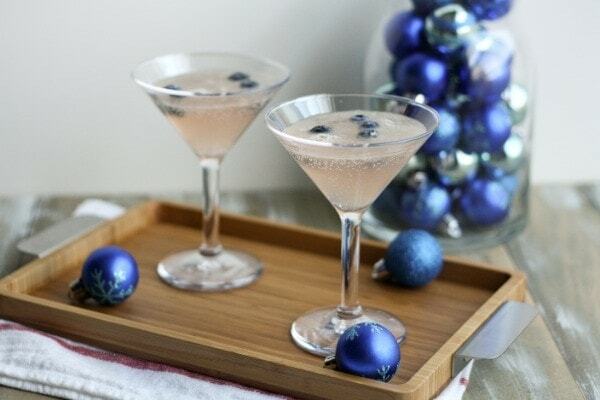 A nice refreshing drink perfect for brunch or a holiday party! Top with Sierra Mist Natural and garnish a few fresh blueberries (optional). 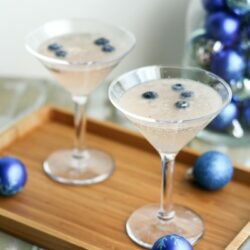 To make it a cocktail (martini), substitute the lime juice for 1 oz of coconut vodka and the blueberries in the second step with 1 oz of blue curaocao. Disclosure: This is a sponsored post. I only share brands I like, you know that!